PAXTONThe new Web site for Worcester County Memorial Park is giving the phrase beyond the grave a whole new meaning. Beginning July 1, the cemetery at 217 Richards Ave. listed its more than 17,500 occupants in a searchable database on its Web site,www.wcmp.org. I believe that we are the only cemetery in the U.S. that has every single person on (its) Web site, General Manager Brian K. Killelea said. Each of the cemeterys occupants has an individual page on the site, but most have yet to have had any type of media or information placed there beyond their names, burial dates and locations in the park. But incorporated into the Web page is an option for family and friends to e-mail additional information such as obituaries, memorial books and streaming photo albums to the site. 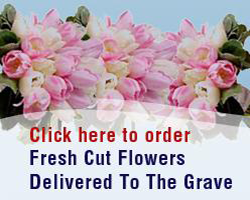 There is even an option to order flowers to be placed on a gravesite of ones choosing. The Internet opens up a whole new realm, Mr. Killelea said. With this technology, everything starts to change. You can do what you want. You can have friends that are linked to the pages. You can even be affiliated with certain groups, such as high schools and clubs. Mr. Killelea, who headed the creation of the site with the help of DLG Results, a Web services company out of Worcester, said his ideas were influenced by journal Web sites such as MySpace.com. I was looking at different Web sites with photos and I told myself that I wanted people to be able to post photos of deceased loved ones and to be able to write captions about them, he said. Using his own background with computers, Mr. Killelea said he set forth to design a Web site to adequately respond to the ever-increasing popularity of free information. He said he believed he could make information on the deceased more accessible through the pages on his Web site, allowing others to add any comments and information they had on the person to the Web page. Its very interactive. We allow people to update the site regularly. And we do have staff who screen the captions and the pictures to make sure theyre all appropriate. I have been on other kinds of online log books and sometimes people write the most distasteful things. We dont allow that on our Web site. In the future, Mr. Killelea hopes they will be able to add audio recordings such as voice messages, either of the deceased or as dedications by friends and family. Video captures of the deceased may be possible as well. This is not the first modern step the park has taken with its presentation, Mr. Killelea added. Outside the realm of cyberspace, the memorial park has veered away from the traditional style of a New England cemetery by favoring flush bronze markers that lie flat on the ground instead of the typical tombstones and monuments which usually designate a gravesite. Mr. Killelea said this style was adopted from California memorial parks. We try not to have anyone above anyone else, Mr. Killelea said. And when one views it from a distance, it looks more like a regular park, he said. Its not until you go onto the grass that you realize its an actual cemetery.